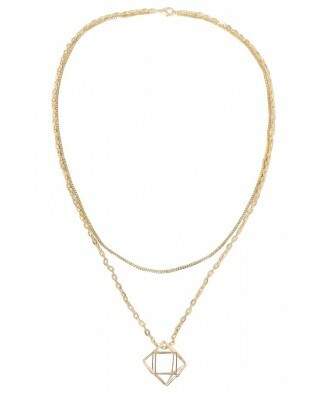 Show off all the sides of your multifaceted personality with this fun and whimsical necklace that reminds us of a cage. 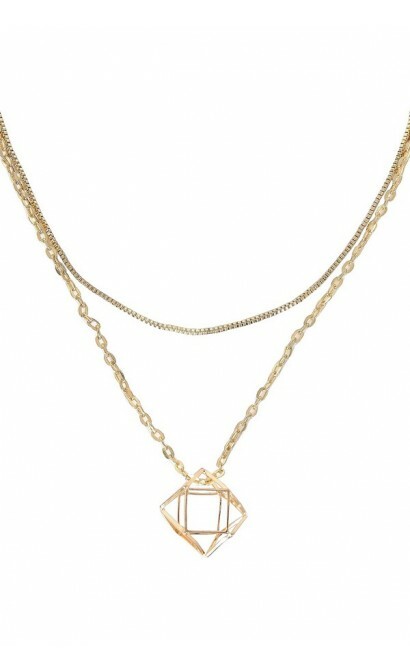 This necklace features two gold chains of varying lengths and an open three dimensional geometric charm. This necklace is fun, whimsical, and unexpected. Lobster claw clasp. Charm is approximately 1.25 inches in length. Chain length is approximately 29 inches. You have added Multifaceted Open Gold Dual Strand Necklace into Wishlist. You have added Multifaceted Open Gold Dual Strand Necklace for Stock Notification. 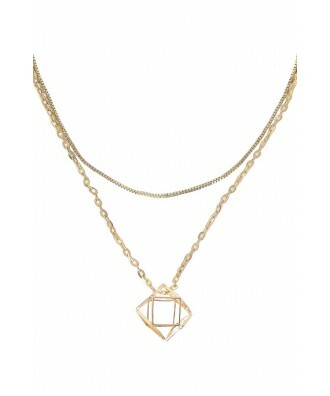 You have set Multifaceted Open Gold Dual Strand Necklace as a loved product. 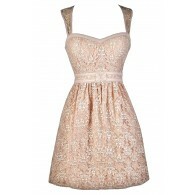 You have removed Multifaceted Open Gold Dual Strand Necklace as a loved product.